Throughout 2014, project coordinator Justin Nie and project technician Bob Joachim have been out in the field meeting with landowners to discuss conservation practices and available funding sources. 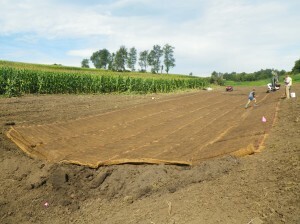 With the wet spring and the short fall construction window, fewer practices were installed than we had planned. However, several projects were completed this year. A few projects were cancelled during the year, mainly due to landowner changes. 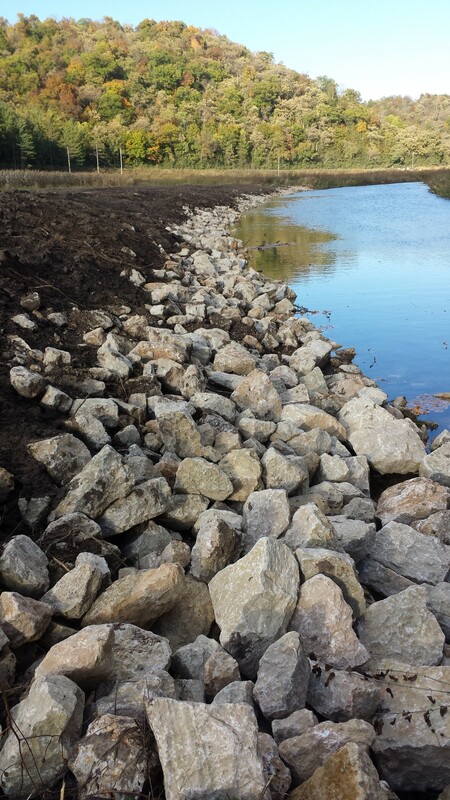 In the Iowa portion of the watershed, one grade stabilization structure was constructed, 421 feet of stream bank were stabilized, and new fencing was installed as part of a pasture management system. In the Minnesota portion of the watershed, two grade stabilization structures were installed. One of those structures was a vegetated chute drop structure. With harvest wrapping up, you may have noticed areas in the field that could use some improvement. 2015 is the last year for the Waterloo Creek Watershed Project and there are funds available for people to sign up to do projects. 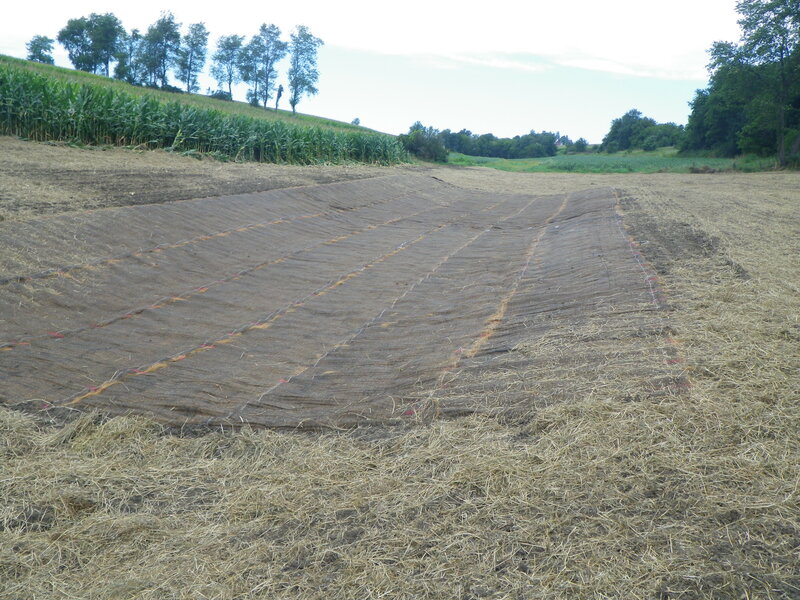 75% cost-share funds are available for terraces, grade stabilization structures (ponds), stream bank stabilization, and pasture management in the Iowa portion of the watershed. The cost-share funds must be spent by December 2015. If any of these projects interest you, please contact our office as soon as possible and we can discuss your conservation options. If you have any questions, do not hesitate to contact Justin Nie by phone at 563-568-2246 ext. 3 or by email at justin.nie@ia.nacdnet.net. 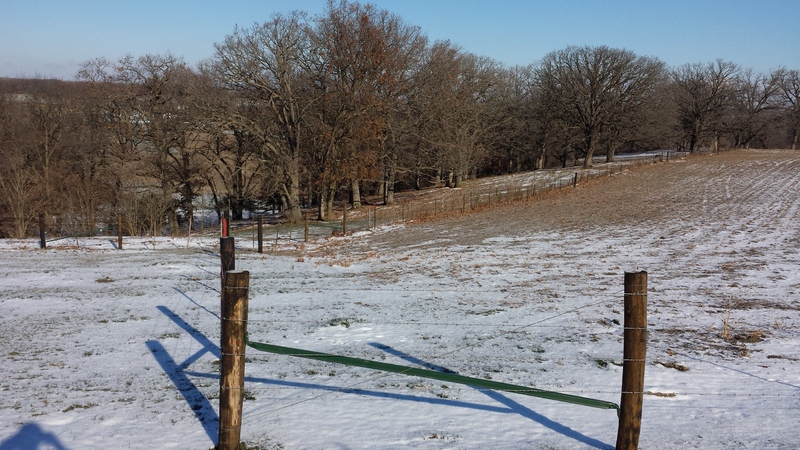 This winter is a great time to stop in your local NRCS office to review your conservation plan. If it hasn’t been updated in a while, it might be a good idea to get it updated. We can provide you with soil maps, contour maps, CSR maps, and a revised plan map associated with your revised conservation plan. If you rent out your ground, it’s a good idea to include your conservation plan in your farm lease. If you would like to talk to someone about this option, please contact Sara Berges at the Allamakee County SWCD at 563-568-2246 ext. 3 or email at sara.berges@ia.nacdnet.net. Even if you aren’t sure this is something you’d like to do, Sara would be happy to answer your questions. 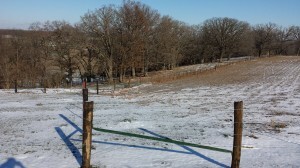 If you are changing renters or have ground coming out of CRP, this would be a good time to revise your plan. 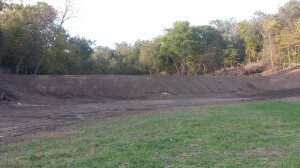 Sara can also update plans for ground in Houston County, Minnesota. If you don’t currently have a written lease, she can talk to you about several lease templates available. Iowa State University Extension has a few options on their Ag Decision maker website. More form leases are available at agease 101.org. More information about including conservation in farm leases can be found here.